Black Blood Invocation are a duo from Greece that plays a bestial mixture of black and death metal and this is a review of their self titled 2017 demo which was released by Deathrune Records. A very ritualistic synth intro starts off the demo and after the intro the music goes into a heavier direction and when the music speeds up a great amount of blast beats and war metal elements can be heard along with some bestial death metal growls while the tremolo picking gives the songs a more raw black metal feeling. A great amount of old school black and death metal influences can be heard in the bands musical style while the songs also bring in a great mixture of slow, mid paced and fast parts and none of the songs ever use solos, leads and only adds in a small amount of melodies and focuses more on a raw, dark and brutal sound and synths return briefly on the closing track. Black Blood Invocation plays a musical style that takes war, black and death metal and mixes them together to create a sound of their own, the production sounds very dark and raw while the lyrics cover ceremonies, occultism, atavism, and obscurity themes. 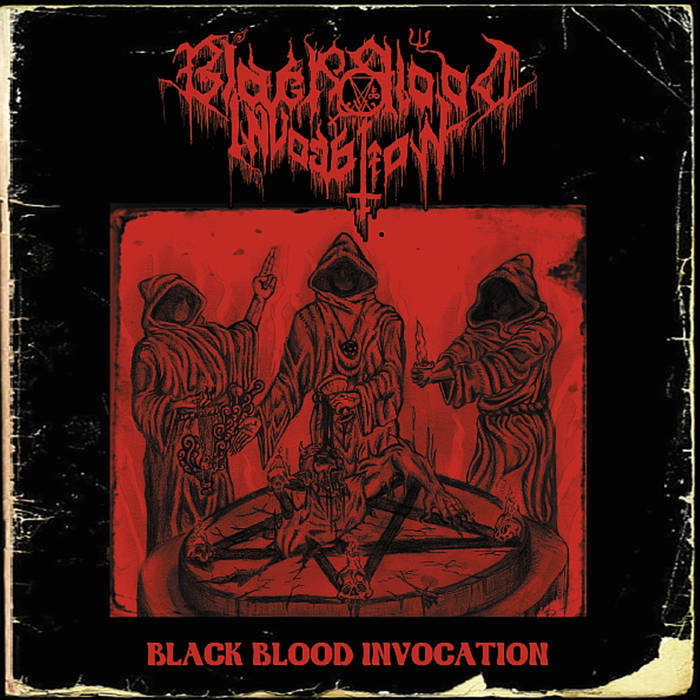 In my opinion Black Blood Invocation are a very great sounding bestial mixture of black and death metal and if you are a fan of those musical genres, you should check out this duo. RECOMMENDED TRACKS INCLUDE "Black Blood Invocation" and "Baphometical Prayers". 8 out of 10.